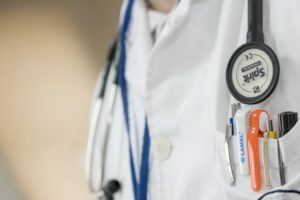 Professional and medical negligence claims are a specialised area of law, often involving complex legal issues and evidence that requires the expertise of one or more experts in the field of the claim. At Beck Legal, we understand the sensitivity of these claims, the implications for both the claimant and service provider, and the high stakes involved. Our approach to resolving professional and medical negligence claims disputes is unique and personalised. No one dispute is the same, and we want to understand the facts and what the best-case scenario outcome looks like for you and what your budget is. We do not jump into litigation lightly, and will generally recommend a number of other options and tactics before we look at filing a claim in Court. We act for individual claimants, family members, service providers and individual professionals, and insurers in all industries, including the medical, legal, accounting, financial services, and insurance industries. Recovering financial losses suffered due to poor legal advice, such as losses caused by lawyers missing deadlines, not following instructions, failing to properly register a security interest, or failing to ensure you get clear title at settlement. We understand how stressful it is when a claim is made against you alleging that you have engaged in professional misconduct or negligence. We can assist you in reviewing the facts, providing you with an independent assessment on the matter and the prospects of success of the claim. We can help you defend the claim or negotiate a settlement. We will always work towards resolving the matter as quickly as possible for you, so you can get back to focussing on your work or business. Professional and medical negligence claims generally require independent expert opinions, which we then rely on when providing you with legal advice on your prospects. Expert opinions will often make or break a case. We can provide you with recommendations and introductions to the experts that we trust and have had positive experiences with. Beck Legal has a reputation of providing high quality, clear and practical advice which is what you need if you are involved in a professional or medical negligence claim. For more information about how we can assist with professional and medical negligence claims, get in touch today.